Samantha Bare wins our July Story Slam! Congratulations to Samantha Bare on winning the Boiling Point Story Slam! Samantha told the harrowing story of finding a drunk in her college apartment and how the episode made her reach her boiling point! Samantha won the prized pint glass and earned a slot to compete in the November Grand Slam, where she will compete against the other winning storytellers for the title of Best Storyteller in Lancaster. Our storytellers talked about anger they saw in others and anger they experienced themselves. We heard stories about practical jokes and about losing one's patience with their children. We listened to tales of a boyfriend's denial and the anger that arises when one's grill tank is exchanged instead of filled. We also heard stories of terrible college roommates, and about anger at the movie theatre line, "Where are the stanchions?" We heard about the worst return trip to college, a tale which ended with a rather foul moment in a women's bathroom. Thanks to our storytellers, our judges, and our emcee Matthew Kabik. Our next Story Slam is scheduled for Tuesday, August 25th and the theme is Family Feud! Tickets are available by clicking HERE. You can watch Samantha's winning story below. 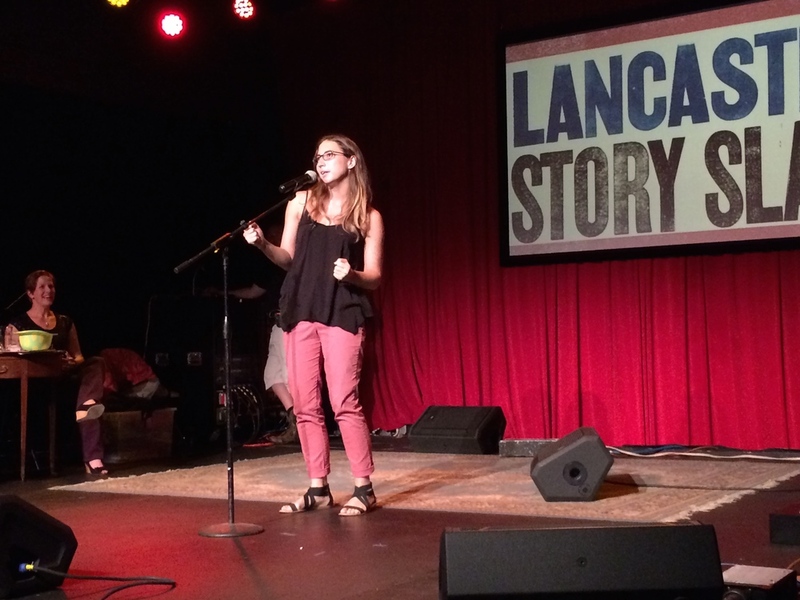 To watch all the stories from the night, check out the Lancaster Story Slam YouTube channel.